Salem: D.J. 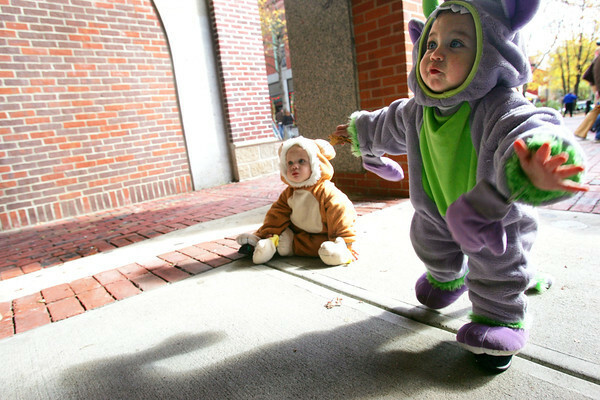 Santos, 10 months of Lynn, wobbles his way over toward his mother while wearing a little monster costume on Essex Street with his cousin, Bradley Nicosia, 1 of Lynn dressed as a monkey, and his aunt on Thursday afternoon. D.J. and Bradley just started walking a few weeks ago and they were little unsteady on their feet, so they took careful steps and breaks on the ground.